Manju Warrier was born on 1st November 1978 in Nagercoil, Tamil Nadu. She is one of the most successful actresses in Malayalam film industry. She attended CSI Lower Primary School in Nagercoil, Chinmaya Vidyalaya, Chovva school and SN College, in Kannur. During her school days she participated in dance competitions and won several awards. She was given Kalathilakam title in Kerala Youth Festival for 2 years. Manju Warrier made her movie debut with Sakshyam in 1995 alongside Suresh Gopi, Murali and Gauthami when she was just 17 years old. She married actor Dileep in 1998 and said good bye to acting. After breaking up with Dileep in 2014 she decided to come back to films. She made her come back with malayalam movie How Old Are You in 2014 opposite Kunchako Boban, Lalu Alex and Kanika, the film a blockbuster hit of the year. 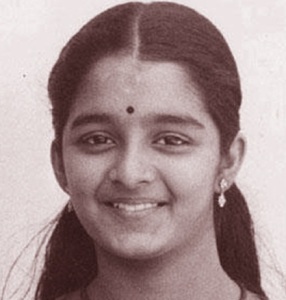 She won National Film Award for her role in Kannezhuthi Pottum Thottu in 1999. She won Kerala State Film Award for Ee Puzhayum Kadannu, she earned four Filmfare Awards during her film career. 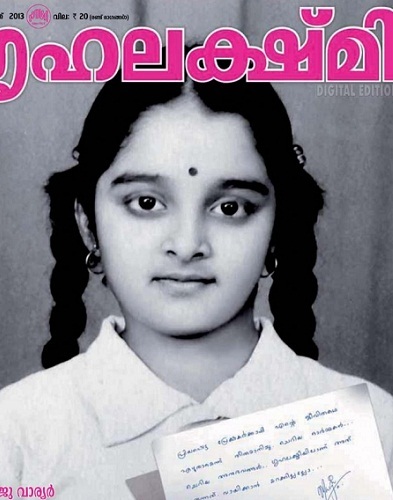 Manju Warrier was born to Madhavan Warrier, an accountant in Sundaram Finance. Her mother Girija is a housewife. 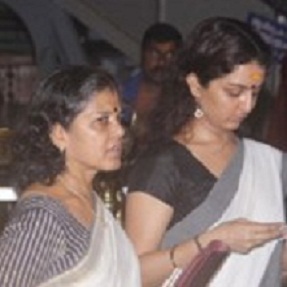 Her elder brother Madhu Warrier is also actor and film producer. He married Anu Warrier on 6th May 2006 and the couple have a daughter named Avani. Manju Warrier married actor Dileep on 20th October 1998 and said good bye to acting. 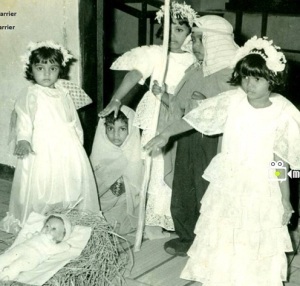 The couple gave birth to a daughter named Meenakshi. After breaking up with Dileep in 2014 she returned to acting career.